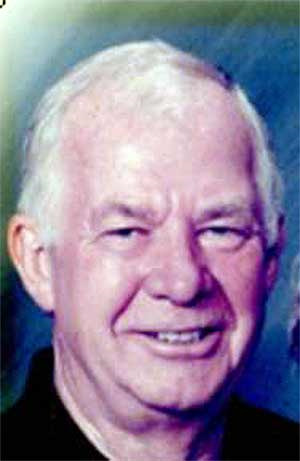 FAIRFIELD, Ohio — Donald Lee Clair, 79, of Fairfield, Ohio, passed away April 5, 2019. He was born April 4, 1940, to the late John Clair, Sr. and Dorothy (Stevens) Clair. He was a graduate of Archbold area high school. On April 16, 1960, he married the late Lorraine (Spiess) Clair. During his life he moved from Archbold to Lima, Van Wert, and Delta, Ohio before settling in Fairfield, Ohio, where he met and married Susan Garrett on April 17, 1993. While in Fairfield he worked for Finkbeiner Pettis & Strout and retired from there. Don enjoyed his family visiting and loved to have the house full during gatherings. His family was one of his greatest joys. Throughout his years he liked to travel, camp fish and golf. Once he retired, he enjoyed working in the yard, repairing things, and visiting with neighbors and friends on the back patio. Don is survived by his wife Susan; Michelle (Chuck) Sperry, Kirk (John Schmidt) Clair, Melissa (Scott Storeholder) McCullough, Doug Meddings, Mandy Waits, Kate (Jake) Neal; 16 grandchildren, 15 great-grandchildren and fur-babies Benji and Gus. He was preceded in death by his parents, John and Dorothy Clair Sr.; brother, John Clair Jr.; and daughter, Kim (Meddings) Brenner. Memorial services will be held at 1 p.m. Saturday, April 20 at Living Waters Baptist Church, 7104 Shirley Drive, West Chester Township, OH 45069. Memorial contributions may be made to Melanoma Know More, 10945 Reed Hartman Highway, Suite 309, Cincinnati Ohio 45242 or at www.MelanomaKnowMore.com.